Solid silly fun, and a worthwhile addition to the Slayers series. ...Linna and Naga do Cthulu. The first Slayers movie is a prequel to the TV series, following the exploits of a couple of sorceresses with too much time on their hands and too many violent tendencies. The main mage is Lina Inverse, known for her fireballs, love of seafood, and small breasts. Actually, her breasts are normal unless you compare her to her traveling companion and sometimes rival, Naga, known for her earthquakes, cackling, and ponderously large breasts. 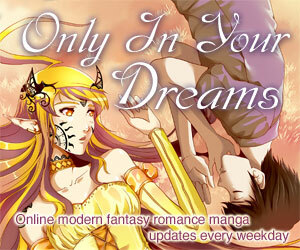 Lina and Naga travel to a mysterious island where everything seems normal at first. Of course, it isn't long before they're attacked by a shady band of jellyfish cultists, receiving visions from a enigmatic sage, and fighting a bunch of demons hell-bent on causing as much havoc as inhumanely possible. Just another day on vacation. This first film take on the ever-popular Slayers series is more of the same dumb fantasy fun with a liberal sprinkling of actual plot that made the series as popular as it is. Fine art it ain't, but it does amuse, as long as your tastes aren't too refined. Worth noting is that, since this is a prequel, the story is self-contained enough that you could easily watch it without any prior knowledge of the series and not feel too left out. A few in-jokes will slip by and you won't fully appreciate the characters, but it'll still be enjoyable. It might even be a good way to get a feel for whether Slayers' brand of humor/plot is right for you. If you do go into it from that perspective, you'll get a decent if basic fantasy tale liberally seasoned with a lot of weirdness and quite a few mild breast jokes (though in all it's remarkably tasteful for this sort of thing). It should be hilarious if it's to your taste, but isn't for everybody. If, on the other hand, you're already a Slayers initiate, you should be pleased with this outing. It's focused solidly on Linna and Naga, so don't expect to see any of your other favorites (although an apparent ancestor of Goury shows up). The plot lies essentially outside the rest of the series continuity, so you also shouldn't expect much in the way of development of any sort. But, as a self-contained story, it serves up the mix of bizarre, somewhat tasteless humor and fairly serious story (toward the end) you've grown to love. Visually it's a sharp-looking movie, and a definite step up from the TV serieseses... TV shows. The art is clean, sharp, and colorful, the animation fairly expensive-looking and smooth, and some of the backgrounds are very nicely painted. The character designs are essentially what you've come to expect (meaning cute, distinctive, and true to the series), as is the acting in both languages. The music (again, as usual) is quite nice; broad, fantasy-style orchestral themes as background music, with a particularly catchy Slayers-style J-technopop end theme by Megumi Hayashibara. In all, Slayers: The Motion Picture is a self-contained story built of the same elements as the series. If you're not already familiar with Slayers, this isn't all that bad a place to start, and although the mix of weirdness and relatively serious fantasy isn't for everybody, it's quality entertainment if you're in the right mood. Slayers fans, on the other hand, will find everything they've come to love in a somewhat more attractive package and sans most of the backup characters. This is the first of five Slayers theatrical movies, and the only one without a subtitle; the other four are (in order): Return, Great, Gorgeous, and Premium. 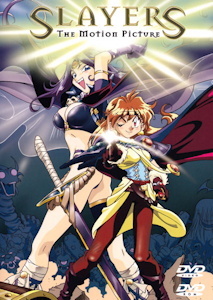 It hit theaters while the original Slayers TV series was still running, and in the Slayers timeline is a prequel to that series. Available in North America from ADV Films on an "Essential Anime Collection" bilingual DVD. That DVD is an enhanced re-release of the original bilingual DVD. Was originally available on subtitled or dubbed VHS. Slayers: The Motion Picture is Copyright © 1995 Kanzaka Hajime - Araizumi Rui / Kadokawa Shoten Publishing Co., Ltd - Bandai Visual Co., Ltd - Marubeni Corporation - King Record Co., Ltd. Any images are the property of their respective rightsholders, and included for review purposes only under the fair-use clause of US copyright law.